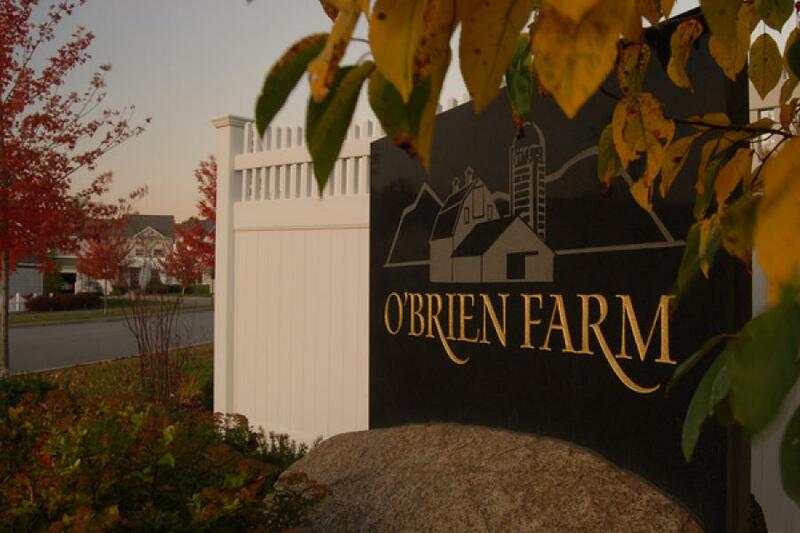 We are thrilled to announce we will be working with O'Brien Brothers Agency, Inc. on their new development- Hillside at O’Brien Farm. Located in the most convenient and newest neighborhood in South Burlington, Vermont. Hillside offers 118 custom-built homes and Townhomes with a range of prices and options for every stage of life. Choose your lot location, the style of your home, interior features, and let them do the rest! Please let us know if you or someone you know would like a packet of information with prices and home choices! The landscape of South Burlington, Vermont, has changed over several decades from bucolic pastures to row upon row of single family homes. Now, new development trends are reshaping the city once again. Seven Days reports that recent zoning changes and new multi-family development projects are slowly concentrating construction into pockets of denser, downtown-style living. 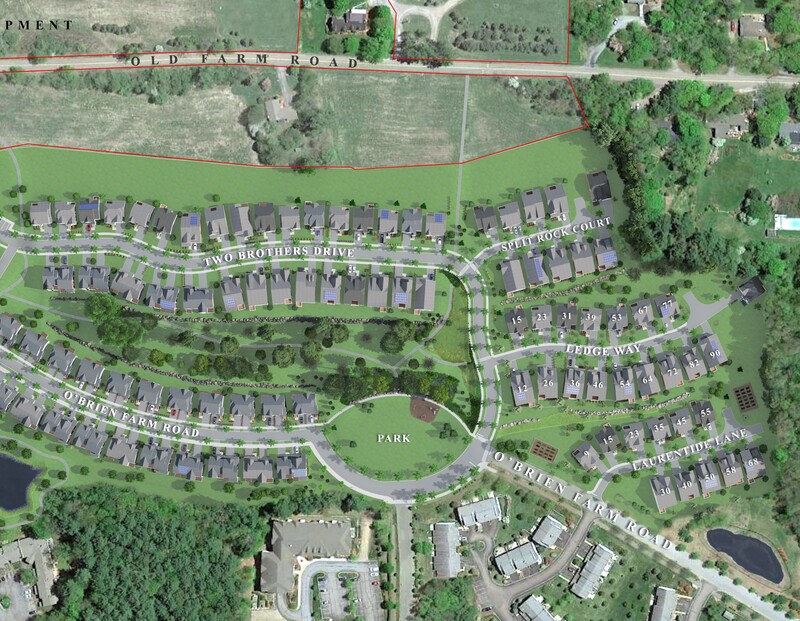 One of the projects underway is O'Brien Farm, a development by the O'Brien Brothers Agency that will feature hundreds of new units off of Kennedy Drive and will be built out in different phases over five years. Many of the city's proposed units will likewise be built in phases, allowing the rental market to absorb increases in housing stock over time. This hopes to prevent dramatic fluctuations in the vacancy rate that could come if thousands of newly constructed units became available all at once. Although the many housing units in the works are expected to relieve pressure from the area's tight rental market, most of the new buildings will primarily feature luxury apartments rather than low-income or affordable housing. Seven Days details the complicated consequences of these new construction projects and their impact on residents of Chittenden County across different income levels.Click to read the full story online. The main building of what was previously Burlington College was sold in a foreclosure auction July 12. The building measures 29,000 square feet and sold to People's United Bank for $3.1 million. People's United also holds the mortgage for the property, but "legally had to bid on the building under a judgement of foreclosure," reports WCAX News. The bank will likely sell the property to a developer, and local real estate investor Eric Farrell says he all ready has plans in the works to develop the building to a mixed-use property with residential and commercial space. The full story can be read at the WCAX website by clicking here. Hosts Mitch Wertlieb and Ric Cengeri discuss Vermont's recovery from the Housing Crash of 2007 with two real estate professionals from across the state. Looking to the present market, the hosts and their guests "discuss the Vermont real estate market today, the hottest areas of the state, and effective strategies for those looking to buy or sell a home." Check out the full story and recording by clicking here. Residents in the South End are pushing to make one of their busiest interections safer for all .The three-way intersection of South Winooski and St. Paul and Howard streets has long been a treacherous one for motorists, but the risk is even greater for pedestrians and bicyclists who have no safe way to cross. The Burlington Free Press reports that "there have been 33 crashes at the intersection in the past five years," according to Burlington-based engineer Corey Mack. To read more about how residents efforts to make the neighborhood safer, click here. “It’s just super stressful that there’s not anything out there to look at. If you say, ‘I want to be in this neighborhood’, then you might wait six months.” Nic Anderson explained to The Nest about the current Real Estate market in Chittenden County. Homes for sale have dropped more than 24% country wide in the last year. In Burlington, the number of single family homes for sale remains low but not far from last year with 41 single-family homes available in April compared to 43 that were available in April of 2016. While inventory is low in Burlington, the average sale prices are rising high, 37% higher than last year to be exact. The median price was also up 35% from last year. Steve Lipkin stated, “Disparity between high demand and low supply is unusually severe right now, particularly for home buyers looking to spend $200,000-$400,000. “Under half a million [dollars] is as tight as I’ve seen it in the past 20 years.” The recession made people warier of taking on mortgages they couldn’t afford which has caused less buyers to be looking at huge houses with price tags over $1 million. For the luxury market, there are more listings than buyers and the homes that are on market are sitting for longer. Steve points out “buyers who are willing to drive a litter farther from Burlington can often find decent deals in Franklin County and can stay close to interstate 89 for commuting.” The average sale prices in Franklin County decreased almost 5% in the last year. “You’ve got to think outside of the box in this market, if you’ve got a buyer.” Steve said, which is exactly what he did for his buyers Nic and Amy Anderson who were having trouble finding a home that suited their needs within their price range. There are about 2,000 new homes being proposed and built but most are to be rental properties not condos for sale. The new apartments will help keep renting affordable in the Queen City and hopefully can ease up the market for single family homes but it won’t be in the next year. If you’re hoping to move, you need a Realtor like Steve Lipkin, to think outside the box to get you into your dream home. As always, if you’re wondering about the current market or thinking about buying or selling, visit us at www.lipvt.com. A bill that would have required AirBnB operators in the state to conform to regulations covering similar short-term rentals has stalled in the Vermont Senate, according to the May/June issue of the Vermont Property Owners Report. SB 113, proposed by Ginny Lyons and Michael Sirotkin, would have subjected AirBnB rentals to "other state regulations...including health, safety and sanitation" requirements that currently cover hotels, motels, bed and breakfasts and similar lodging properties. Some groups, including the Vermont Chamber of Commerce, believe AirBnB rentals receive an unfair advantage when they operate outside the regulations that face their competition. Burlington lead Vermont AirBnB rentals in 2016 "with 24,110 guest arrivals accounting for more than $3.1 million" in short-term rental income. The full story can be viewed as a PDF by clicking here. 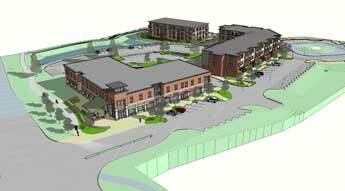 A new mixed-use development will break ground in Williston this summer, atop 17 vacant acres near the intersection of U.S. Route 2 and Vermont 2A. The site was formerly a golf driving range. The Williston Observer said in a May 25th article that landowner Allen Brook Development will complete the project over five separate building phases, which in total "will consist of roughly 70,000 sq. ft. of commercial space and 200 residences" and include underground parking and a central square of green space. The full story can be read online here. Contact Steve Lipkin and the LipVT Team at 802-846-9575 or Steve@LipVT.com for any Chittenden County real estate questions or concerns. Early 2017 Northwest Vermont Market Report Is Live! Coldwell Banker Hickok & Boardman Realty's industry-leading marketing department has just released it's early 2017 Northwest Vermont Market Report. Follow the link below for information on the local real estate market, current inventory, and projections for the rest of 2017 and as always, reach out to the LipVT team with any questions about buying or selling. CBHB's Early 2017 Northwest Vermont Market Report.